Dates: November 15, 2004 to November 19, 2004. 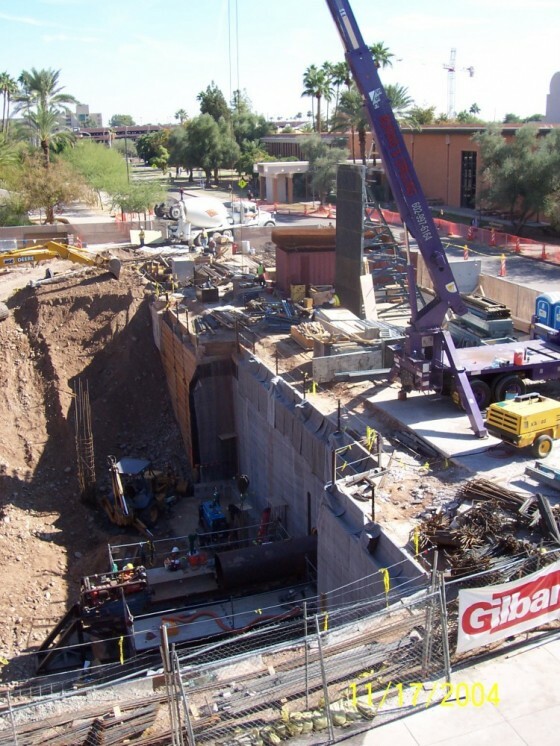 Description: SSC provided consulting services to UMEC to design this 64’ tunnel to connect the new building to the chilled water and steam lines on the ASU campus, which is the heating and cooling source for the university’s buildings. Challenges: SSC had only 6 days to complete this project, working 24 hours a day. Work had to be performed above ground utilizing a unique platform SSC constructed. 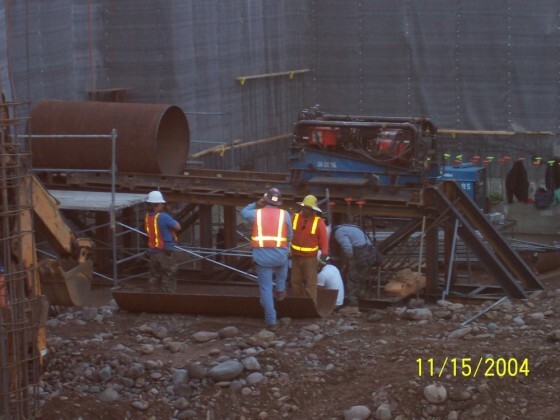 Results: SSC’s crews worked 24 hours a day and were able to install 64’ of 48” casing in 4 days. 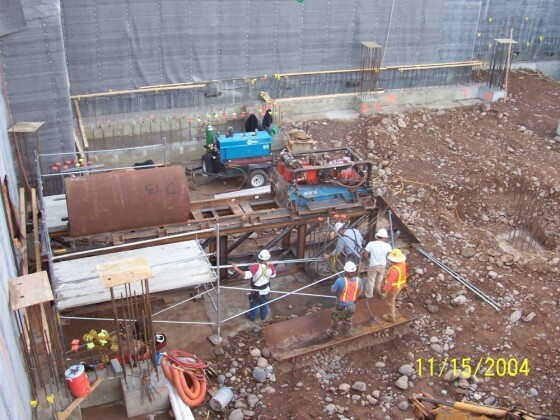 A platform/scaffolding system was designed to elevate the tunneling operation 5 feet off the basement floor of the building to the correct height to tie into the chilled water and steam lines that were existing in the street. 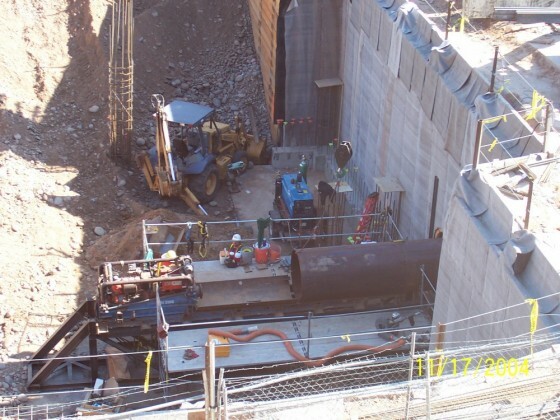 Our crews used hand tunneling to create the path for the 48” casing to then be pushed in by the jack and bore machine which was also elevated on the platform. Our tunneling operation prevented the very busy streets of the university from being open cut to tie these lines in. There were many utility conflicts that existed that would have made the open cutting even more difficult. Our innovation allowed for this tie-in to take place without any interruption to the surrounding area.